Set certain role(s) who could access your content. You do not have permission to see this content. If you are logged in as Customer or Subscriber, you can see the content. 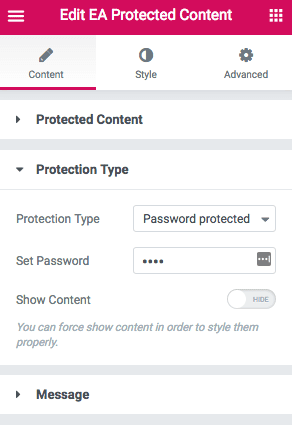 Set password to protect any content/block. This section is password protected. Use 1234 to access the content. 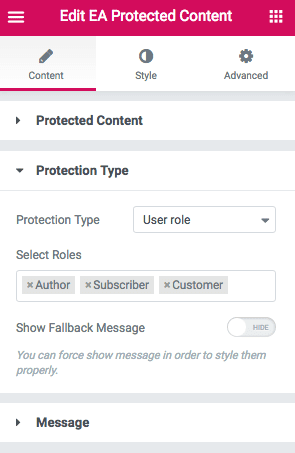 Setting up your protected content is as easy as other Elementor widgets.